The plant that caught everyone’s eye was the Corneliancherry, Cornus mas. It was in full, bright yellow bloom. Obviously not a flowering cherry, neither a flowering plum, what was that winter wonder? A dogwood. Cornus mas is a large multi-stemmed shrub or small tree, hardy in zones 4-8. When not visiting the Northwest Flower and Garden Show, it blooms in late January through March and grows in sun to partial shade. It’s not seen frequently in the landscape. I really liked the vertical gardens below created out of pallets. 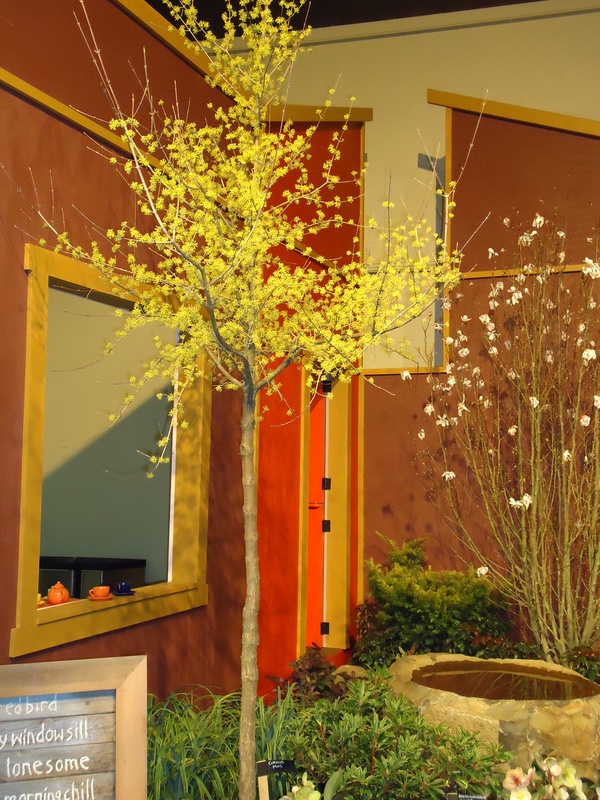 It’s a good way to reuse materials and create a space in which to grow. Why not grow a garden on a fence or a wall where no garden was before? They were made by lining the inside of a pallet with landscape fabric, filling with soil and cutting openings. Then any number plants can by inserted and grown in this slim square garden. So many ideas, so little time! 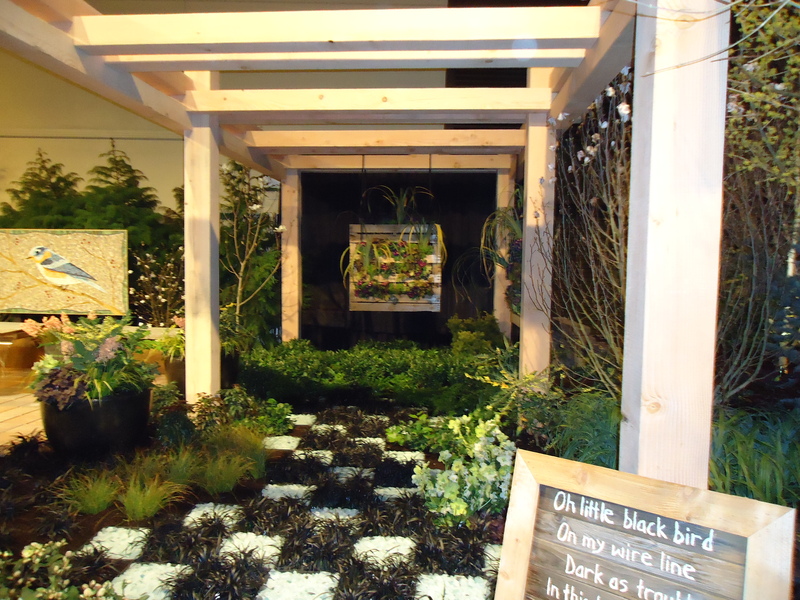 Thanks for passing on some of the excellent ideas from the garden show!